this is a sapling of a plant i just learned, yaupon holly (ilex vomitoria) – yes, as in vomit. i learned a new thing again today from one of my part time employees! i taught him how to identify yaupon in a thicket of privet (alternative leaves not opposite, and reddish new woody growth) and he taught me that the leaves of this plant contain a large amount of caffeine! native americans used to brew the leaves into a strong tea called ‘black drink.’ this tea was used to induce vomiting, and also in purification rituals. it is not the plant itself that induces nausea, but the large amount of caffeine. 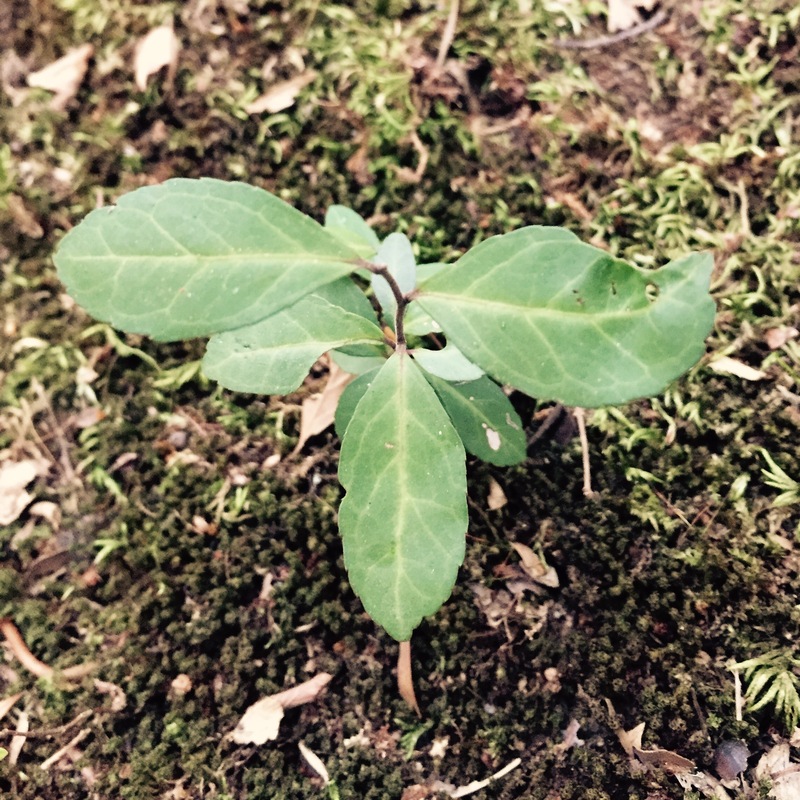 i also learned from the forest service that this is the only plant native to north america that contains caffeine!